Ah, today is such a fine day. A nice calm, tranquil day which could be spent outside playing. The type of day where you should typically see a small boy digging worms in the backyard or a girl playing hopscotch. However, that is not the case today. Today, we will in a society of materialized necessity. A society where fear drives the economy and where video games are babysitters. The graphics in video games. Now, growing up as a young boy whose mind could be influenced so easily, the games I would play were games like Donkey Kong, or Mario Kart. The violence portrayed in these games were mildly simplistic. In Mario Kart, throwing a piece of fruit at another creature would help you win a race on a go cart. In Donkey Kong, we spent hours trying to throw oranges at things like birds and giant ants which were seemingly Nature's enemy. With advancements, video games are now highly realistic, often in 3-Dimensional form. The more real the game looks, the more people will buy it. Therefore, before we know it we are cutting another man's throat who is a percieved enemy, or we are a sniper on a rooftop, zooming in for the headshot which gives you added points. Wow times have change. This leads me to my third point. 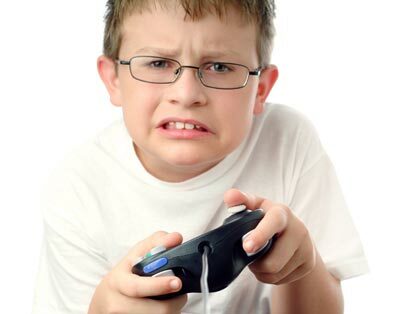 If we are percieved to be the first generation which does not outlive our parents, could there be a relationship between high hours of video gameplay and obesity. What about the corelation between more realistic violence and violence in a real society. If crime rates and breaking the law, such as by speeding, are all things we can do at our fingertips on a habitual basis, could this be influencing our society? Or better yet, is this Utopian world found in World of Warcraft causing higher rates of depression or emotional disturbances when the player has to get out into the real world and work? All of these questions are no farfetched. They are legitimate self reflection questions which we are future parents need to consider. Which leads me to my fourth and final point. Safety: Parents turn on the T.V and here of an abduction in Chicago. Therefore, they feel like their kid playing on the street in Antigonish may get taken away as well. Therefore, parents, due to fear from the media, fear for their childs safety and keep them inside. This fear justifies their purpose for buying a video game console. "Well my boy is safer in his room playing that video game than being out playing street hockey, right?" That is the problem. Crimes have always existed as far back as we can remember. Therefore, children were stolen, thrown into slavery and treated harshly somewhere in the world in These are not new crimes, they are only increasing in number. Maybe this crime increase has something to do with all of this realistic utopian gameplay. We should turn off the news, let our children play and not resort to becoming a fear Capitalist. Fear Capitalists are those individuals who buy, buy, buy because of the fear of the unknown or fear from controlled media. So, logically it must follow that we must change what our next generation of children are doing. Espresso just wrote a blog on alternative ways of doing this. We must substitute a ball for a game and a hockey stick for an X-box Controller. Turn off the tube, read the paper and take the time to spend with your kids and not let the console be the "babysitter" keeping your kids quiet and occupied for hours on end. Spend time with your kids. Trust me, in twenty years it will pay off.